Sourcing and outreach efforts that store in your Crelate Recruiting ATS and CRM. 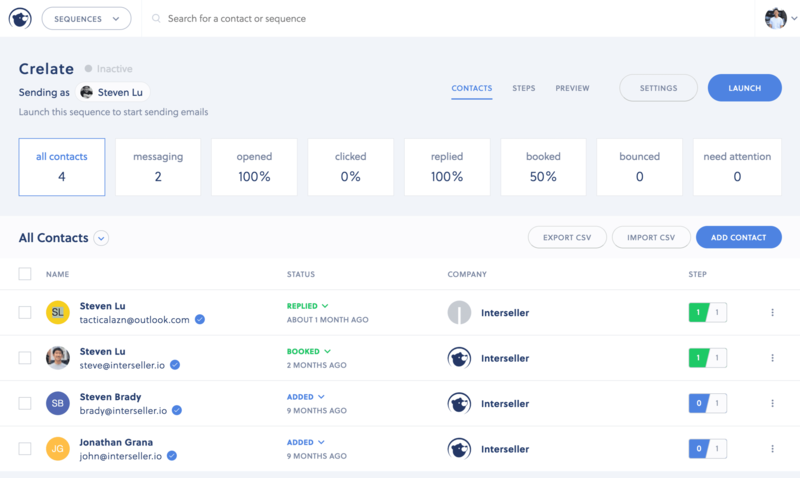 Interseller is an outreach automation platform that sources new contacts from the web and sends personalized email campaigns to engage and grow your business network. 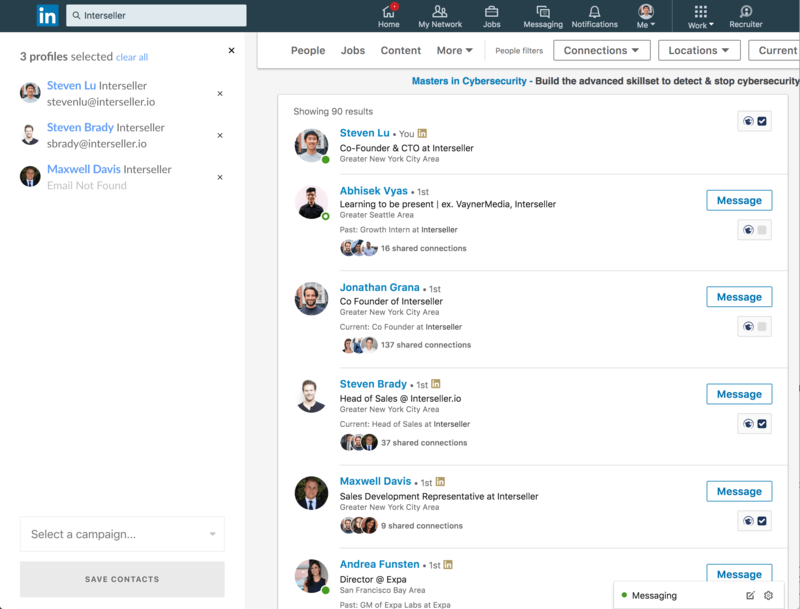 Interseller’s online tool integrates with Crelate’s system to store candidate engagement information. 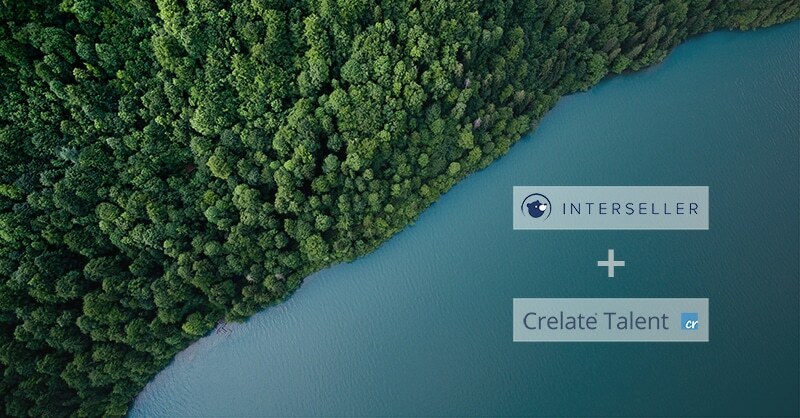 Customers of Interseller and Crelate can use the Interseller Chrome extension to add contacts directly into a Crelate database and send those contacts tailored emails using Interseller. Automated templates for email communication synced with an ATS database allow recruiters to better manage and track communications necessary for continuous connection. Interseller is more than a sourcing tool; it can also be used by founders looking to get connected with investors or anyone doing a large amount of email outreach. With the click of a button, you can find a contact’s email, add them to an email campaign, and sync them to a connected service (Crelate) with all of their company information. Interseller can source and pull contact info from many commonly used websites in the recruiting industry. How does it integrate with Crelate? Syncing an Interseller account with Crelate is easy. 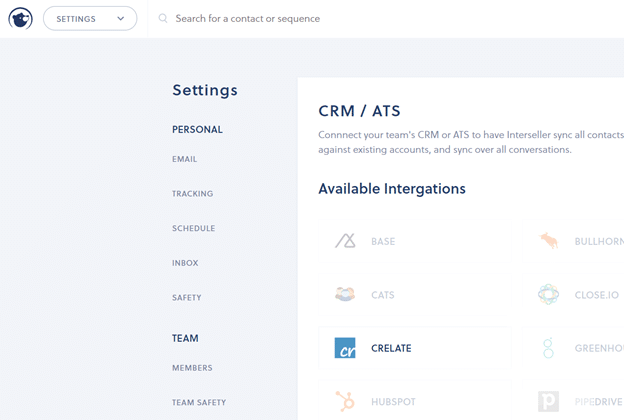 In your Interseller account, click the “integrations” option in the upper right corner and you will find the Crelate button to enter an API key. Any recruiting team looking to engage new talent and grow their existing network can benefit from the Interseller and Crelate integration. The comprehensive tool helps find prospects and scale personalized outreach, and keeps a connected Applicant Tracking System (ATS) up-to-date. Try it for free at https://www.interseller.io/ and see how easy it is to sync your Crelate ATS and Recruiting CRM with sourcing and outreach efforts. Interseller combines each step of an outbound process into one simple tool. Find new prospects using our Chrome extension and add contacts directly into email campaigns. Email campaigns will send customized emails to each contact along with any scheduled follow-ups. All contacts and email activity are then synced over to your connected CRM or ATS service.